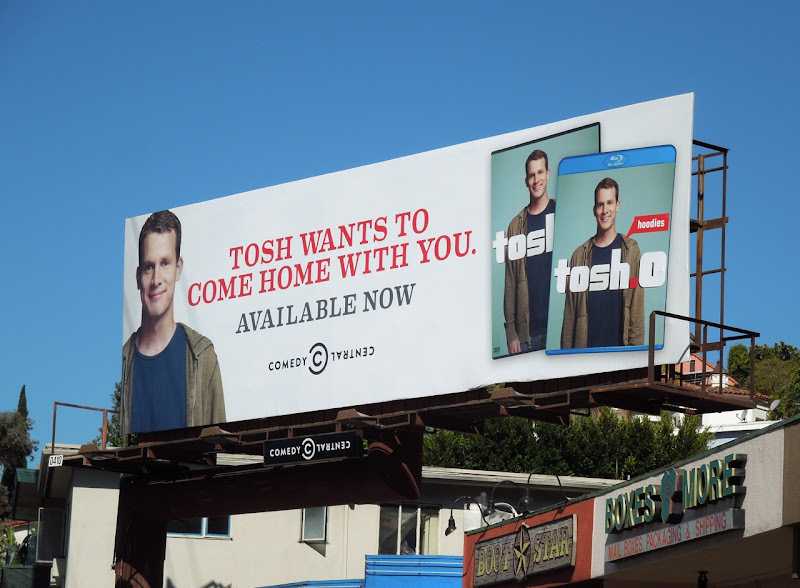 Comedy Central's Tosh.0 stars comedian Daniel Tosh providing witty and topical commentary on the latest viral web videos. For all new episodes of the fourth season of the show this very subtle 'Join him' creative was spotted at Hollywood & Vine at the end of May, with the air date cleverly replicating the show's title. The comedian's almost-not-there face on the white background makes for an intriguing visual. 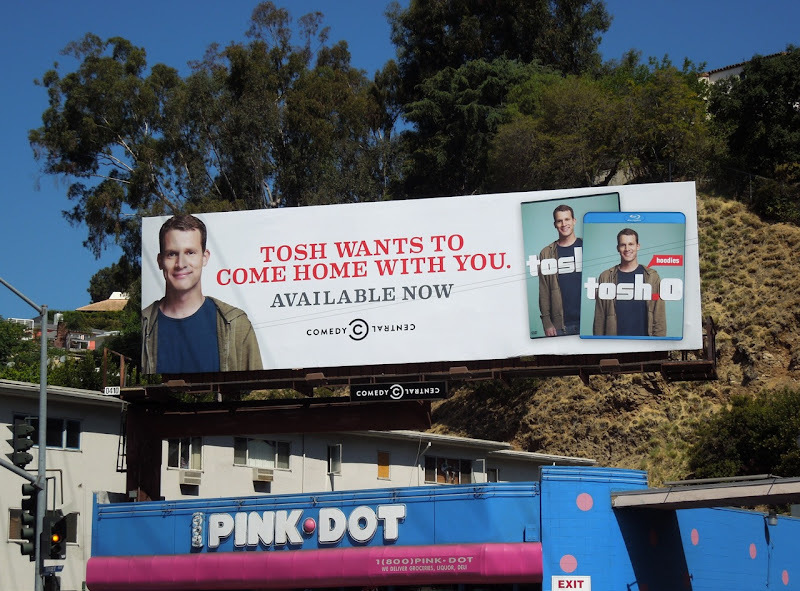 A newer, simpler billboard promoting the series DVD and Blu-ray, with Tosh inviting you to take him home, was spotted along Sunset Boulevard on June 28, 2012. 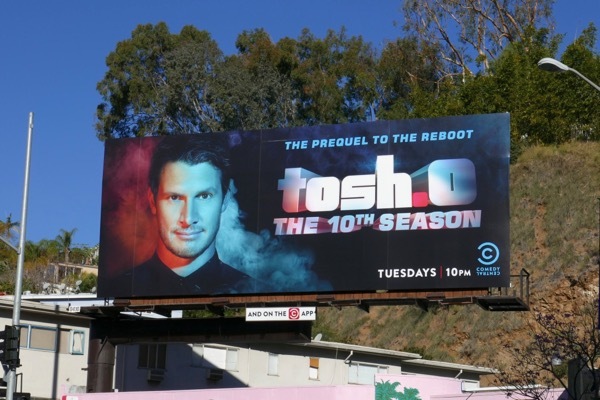 UPDATED: Daniel Tosh is back for a tenth season of Tosh.0 with the billboard spotted along the Sunset Strip on March 19, 2018. 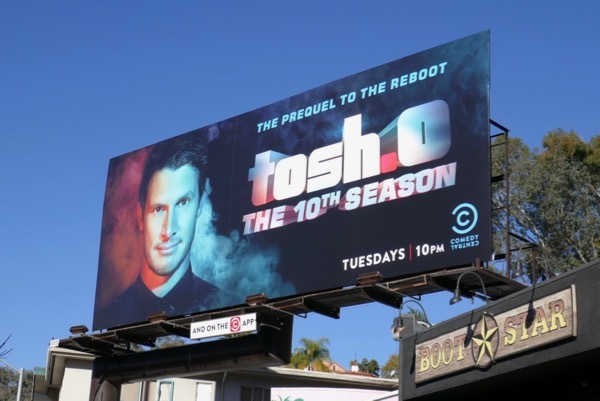 Daily Billboard especially liked 'The prequel to the reboot' tagline of this ad creative.